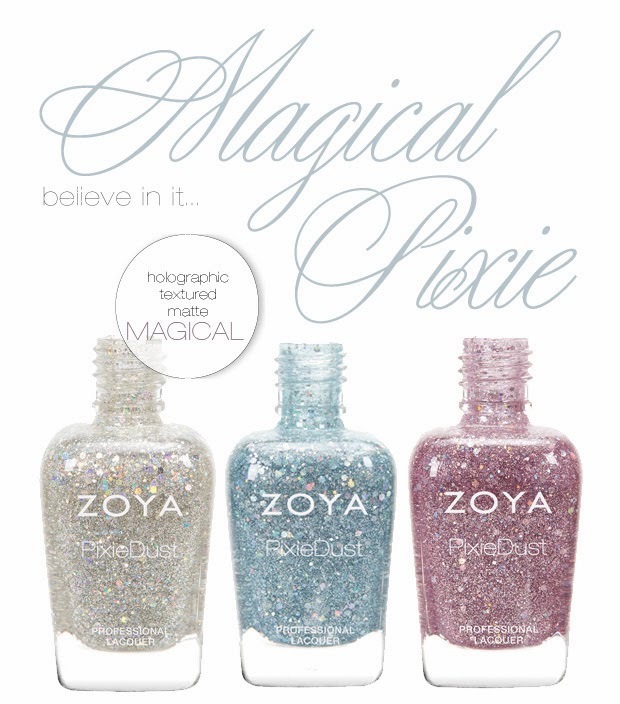 • ZP717 – Cosmo: Silver Crystal Sparkle, Textured PixieDust with Mega Hex Iridescent Particles, Full Coverage Formula. • ZP718 – Vega: Blue Opal Sparkle, Textured PixieDust with Mega Hex Iridescent Particles, Full Coverage Formula. • ZP719 – Lux: Rose Quartz Sparkle Textured PixieDust with Mega Hex Iridescent Particles, Full Coverage Formula.